The first type are the crazies like me who literally obsess about Poland every single day and find every opportunity to share our heritage (and beer) with others, sometimes to the annoyance of our non-Polish friends. We’re the Polish Pep Squad. The second type are the sane folks who have an interest in the Polish language and culture and actively seek out knowledge about their heritage. They preserve the traditions passed down by their parents and grandparents. The heart of Polonia, they ensure that Polish culture never dies. I call them the Culture Guardians. Finally, there exists a large group of “Lost Poles” who are either indifferent, or sometimes even hostile, to their Polish background. Often, these are actually Polish-born people who, since moving from Poland, actively seek to repress their roots to appear more American and, in their minds, modern. Sadly, I have found many of them in the younger generation. Since October is Polish American Heritage Month, I would like to make the case for preserving our common Polish heritage and perhaps regaining some of those “Lost Poles.” Whether we love it or hate it, Polish identity is something we share and should embrace as much as possible. I was not born in Poland and therefore can never understand what it means to grow up there. Unemployment, corruption, pollution, lack of opportunity—all these are reasons that people leave Poland, and I get that. I respect their desire to improve their lives. Someone who grew up amidst Poland’s daily realities may desire a completely fresh start abroad. But let us not throw the baby out with the bathwater. In other words, you cannot let Poland’s negative aspects eclipse the beauty of its culture, history and traditions. The United States has plenty of problems too—just turn on the news. It’s not all rainbows and butterflies here either, but that doesn’t stop me from feeling proud to be an American. I would never try to repress that. If you were born in Poland, you can never change that. You can try to forget Polish, get a Bald Eagle tattoo and profess how much you love Bud Light (uggh), but you’re still Polish and people will know it, if by nothing else than your accent. So wouldn’t you want them to associate your Polish heritage with something awesome? If you portray Poland as backward, primitive, or stupid, then that is how others will perceive you because you’re Polish. If, on the other hand, you portray Poland as a fascinating country with breathtaking natural beauty, glorious food, and rich traditions, then others will be fascinated in turn and respect you more. No matter where “here” is, this excuse holds no water. It’s a medieval mindset of caring only about your most immediate locality and not expanding your horizons. By that logic, if you live in Cheyenne, Wyoming, then why should you care about the rest of the United States, or even the rest of Wyoming? It’s not only close-minded, but also an extremely boring way to live. No one is asking you to “live” anywhere else. Just be proud of your heritage and try to understand it a little. It can add a little spice to an otherwise mundane existence. Besides, Polonia is never far! You don’t have to fly to Poland to enjoy pierogi! Unfortunately, these kids grow up and sometimes become college students who don’t want to help you start a Polish organization on campus (yes, this happened). Some people of Polish descent really do feel that their grandparents’ traditions are dumb and that they are so much more advanced with their Smart-phones and Selfie Sticks. Well, guess what: after visiting Poland recently, I can tell you that, technologically, there is virtually no difference. Not that it’s a good thing. One of my criticisms of Poland is that it’s increasingly becoming as shallow as the West. As the Poles seek to adopt Western values and culture, they begin to chip away at their own identity. Ironically, the day may come when Polonia, and not Poland, will need to safeguard Polish culture. 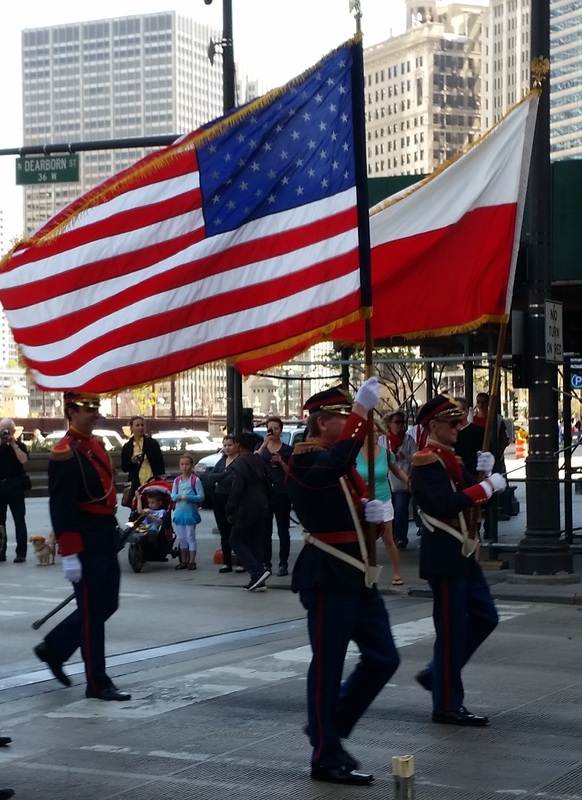 In the beginning of this post, I mentioned three types of Polish Americans. Especially important for the preservation of Polish identity across the globe is that second group, which I call the Culture Guardians. You guys actively seek out your Polish genealogy, share your Babcia’s recipes on Facebook, and try to learn the Polish language. In some cases, you even maintain Polish traditions that are hardly even practiced in Poland anymore because you learned them directly from your grandparents! In this sense, Polonia, be it in the U.S., Canada, U.K. or the Democratic Republic of the Congo, represents Poland in its purest, most beautiful form, without the political and economic problems weighing it down. By being an American of Polish Descent, a Briton of Polish descent, or anyone else of Polish descent, you can cherish and appreciate our ancestors’ traditions to the fullest extent possible. This privilege comes with great responsibility, however. We must do our utmost to keep Poles from falling away. If you have children, introduce them to Polish culture from a young age. If you have apathetic Polish friends or relatives, take them out for a pierogi dinner or a Polish fest. Continue sharing that delicious recipe with others on the internet, discussing your ancestry and keeping tradition. You are Poland’s life blood, and as long as you keep pumping, Poland will never be lost. Marsz Marsz Polonia! Oh my, Crazy Polish guy – you hit the nail right on the head!!! I’m one of those “cultural guardian” Polish Americans who have been promoting appreciation and knowledge of Polish culture, history and traditions for the past 40 years! Those of us born here in the U.S. have had a very hard time figuring out why those Poles of recent immigration (from the 1990’s onward) not only don’t know their own heritage, but don’t WANT to either! It’s unfathomable to us who long and thirst for the old homeland and all the wonders it has to offer us.We cling to the old food, traditions, music and artwork because they all sing to our Polish souls by connecting us to our grandparents’ and great grandparents’ past lives through the year-round traditions they handed down to us as little children. Luckily for those of us aging Polish Americans, there is a strong group of younger Poles (now Americans!) who are filling the gap of continuing our traditions. They seem to be the Poles who came over to the U.S. during the Solidarity era of the late ’70s through the 1980’s.They grew up with those old traditions and, under Communism, appreciated their cultural uniqueness as Poles. They, and also their children are taking up the baton and leading the charge as our new “culture guardians”. Loved This!! Your are so right! Hey, Crazy Polish Guy – you aren’t so crazy after all ! Splendid article. And as an American born Pole (Chicago 1946), who has lived in England since 1981, I can attest to the truth of what you have written. I am of the (sadly belated) Cultural Guardian disposition. Yes, much work to be done! Weird to think that at the time my mom gave birth to me in America, her own country was fighting for Solidarnosc. She didn’t want me to learn Polish when I was growing up, though I learned the phonics of the language so that I could sound it out when I see it in writing. I’ve experienced some of the culture you talk about and even saw it firsthand in Poland, but my comprehension is still so low. Still, I like to tell people about the traditions I have enjoyed. One of the most interesting traditions that was probably exclusive to Poland was hard to describe. It seems that there was a travelling shrine that moved from town to town, house to house, moving in a parade and landing in a living room that would be heavily decorated, like the large plaque or painting that was the main part of the shrine, and there it would stay overnight or something like that. My grandparents don’t really speak English so it was a little hard to gather perfectly what was going on. Do you know the tradition I’m talking about?